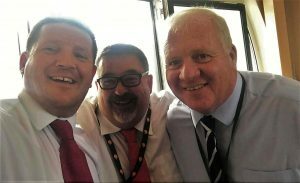 Caernarfon councillors and friends will step out for prostate cancer charity | News by Wales Express News, People Before Profit! LOCAL councillors and friends have organised a sponsored walk in aid of prostrate cancer, which is due to take place in September. ‘Trons Dy Dad’ charity group that has been set up by a group of local councillors and friends with the aim of raising money and awareness for the Prostate Wales Charity. 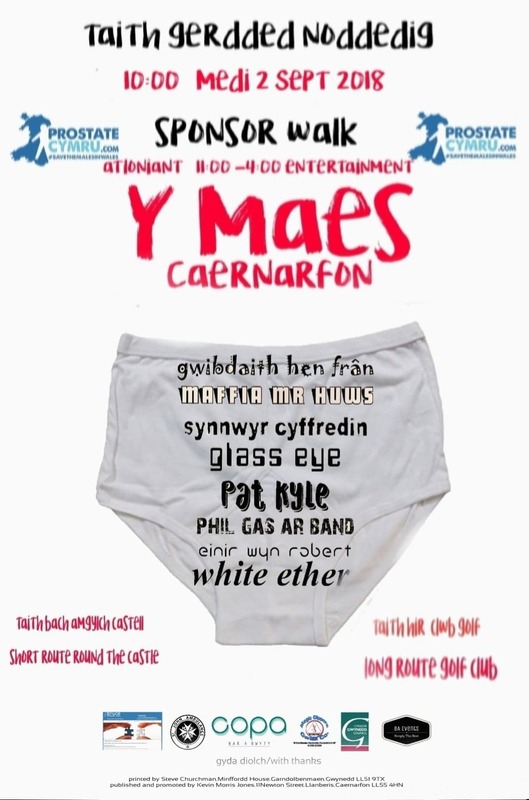 They have organised a sponsored walk that will take place from the Maes in Caernarfon at 11am on Sunday, September 2, 2018. Cllrs Jason Parry, Dilwyn Lloyd and Roy Owen who have been the driving forces behind Trons Dy Dad. Councillor Jason Parry said: “The idea for doing this came after a discussion the group had about trying to arrange an event for the town of Caernarfon as well as raising awareness of Prostate Cancer amongst the County’s residents. All those who have an interest in participating should do so by registering through the Facebook page or by contacting Councillors Jason Wayne Parry tel 07900594279 or Peter Garlick on 07799777035. There will be all sorts of things happening on the Maes during the event including stalls, live music, a barbecue and a fun football match (watch out for some famous faces!). 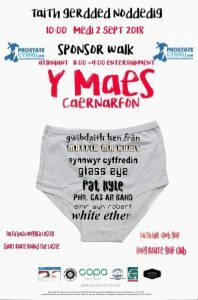 Cllr Parry added: “I am hoping that the people of Caernarfon and the surrounding areas will come and support this worthwhile charity. “The ‘Race for life’ run is well established in Caernarfon now for many years and it’s hoped that this walk could be the start of us men joining in raising funds for good causes.